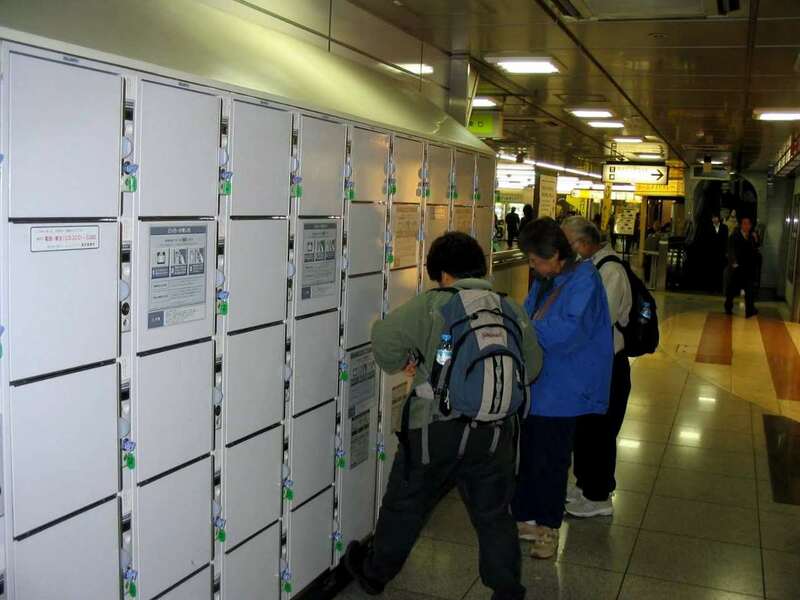 They are lockers of various sizes, you can certainly find them in all stations but also in other places, where to put your stuff (also suitcases) and go to resume when you want. If you don't open the locker for some consecutive days, usually 3 days, the content is emptied by some employees and I don't know where you can recover it. 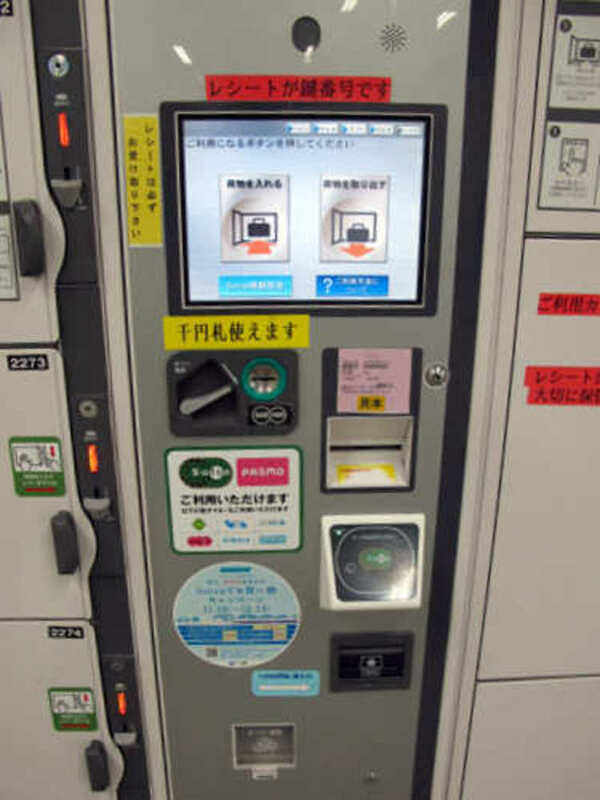 Attention: especially in bigger stations, memorize the location of the coin locker where you're putting your things, or maybe take a picture or a mark it in a map, in other words do as you prefer but be careful because you might not find anymore your locker or anyway have great difficulty to find it. I spent 5 minutes of "panic" in Tokyo station. The price of a coin locker varies depending on size. Generally they start from 200/300 yen, up to 600/700 yen per day, depending on the size. The pricing of the coin lockers begins when you close the door and lasts until midnight on that same day. Let me explain with an example: let's suppose that at 5 o'clock in the afternoon you put a bag inside a coin locker, inserting 300 yen. If you have forgotten something important in the bag and come back to the coin locker to retrieve it, after you open the door, you must reinsert other 300 yens if you want to close it again. If you go to pick up the bag before midnight you can simply open the door, take the bag and leave. If you go after midnight, you have to put other 300 yen before opening the door. 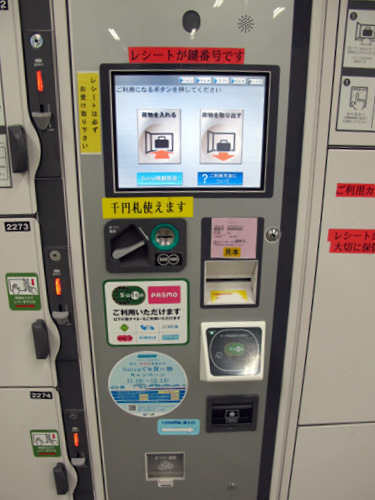 You can find very intuitive coin-operated lockers with normal keys (that you carry with you when you close the door), or coin lockers managed by an electronic touch screen control panel and you can also pay them by suica/pasmo cards, these are a little less intuitive but easy to be used, and the touchscreen also has the English language. Tip: Coin lockers are perfect to leave your bags during the day and at night if you are planning to sleep in a internet cafe.